The Kala Ghoda Arts Festival is a community festival in Mumbai, held within the Kala Ghoda Art District. The festival celebrates music, dance, literature, food, street stalls, cinema, workshops, visual arts, urban design and architecture. The theme for the 2017 Kala Ghoda festival was ‘Speed of Light’, and ran from the 4th to the 12th of February. Toybank had the opportunity to have an installation at this year’s festival. 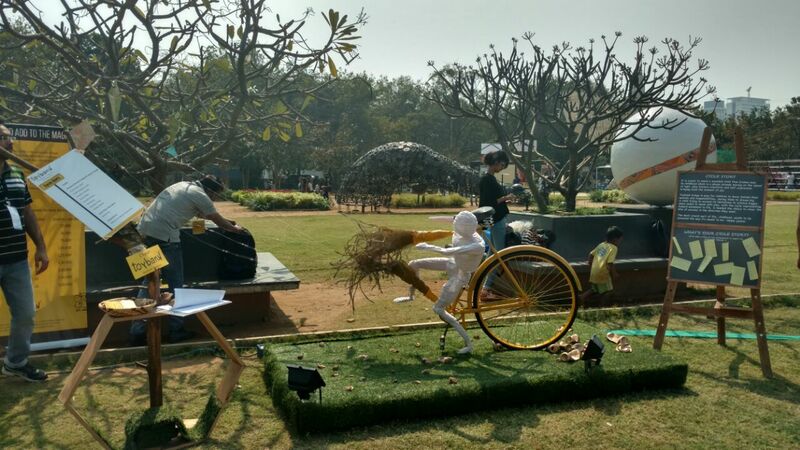 The students of Rachana Sansad College of Interior Design (Mumbai) created an installation for Toybank- The ‘Cycle Story’- an installation representative of childhood going by at the speed of light. The team comprised of Anushka Jariwala, Tithi Mange, Krishika Gandhi, Anubhav Khadka, Sunny Mistry and led by Pratik Somaiya. 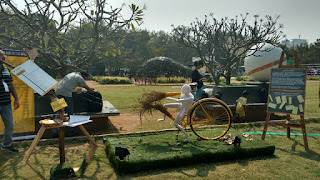 Each one of them put in meticulous efforts to create the eye-catching installation. 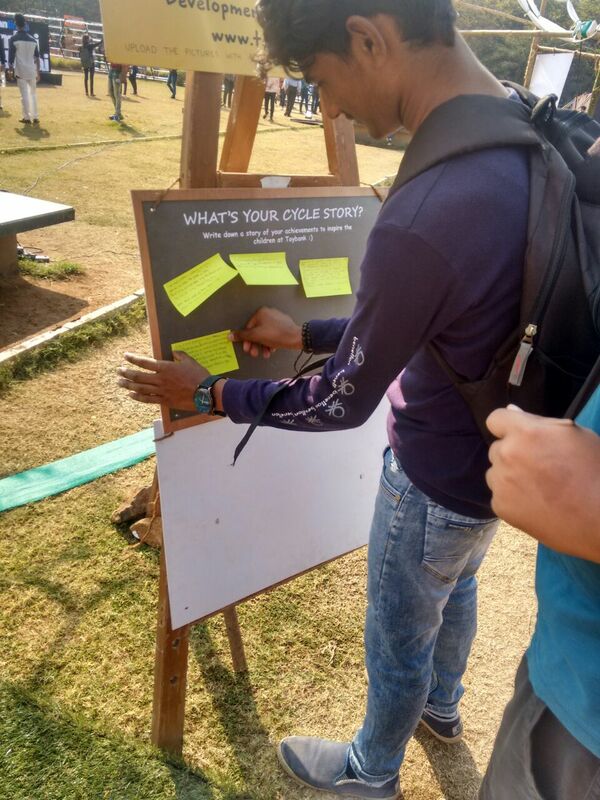 The ‘Cycle Story’ attracted a large number of people, inquisitive to understand what it symbolized. Toybank also had solid support from volunteers to represent us at the festival. Dividing themselves into time slots, the volunteers were present to talk about the installation, answer queries, spread awareness about our work and encourage people to donate toys and volunteer with us. Volunteers engaged with the spectators at the festival and asked them to pen down their favourite childhood memory. In all, the festival was a great platform for Toybank to spread awareness on the importance and value of play and eventually bring back memories of their childhood.